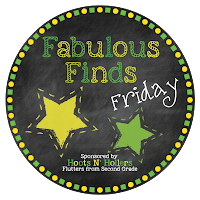 First Grade Critter Cafe': My 5 for Friday Fabulous Finds! My 5 for Friday Fabulous Finds! 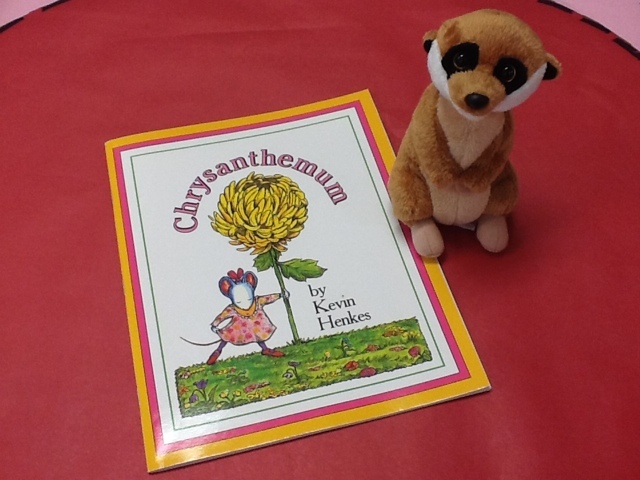 Kevin is our September Author of the month. 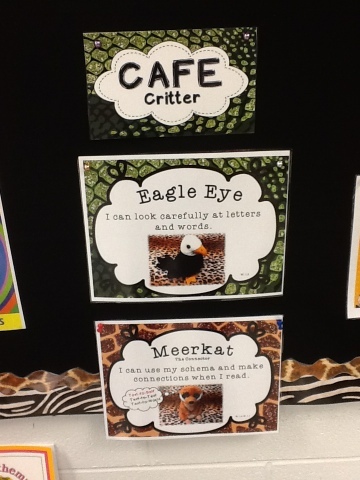 We are using our CAFE critter, Meerkat the Connector, to use our schema and make connections when reading. Chrysanthemum was a perfect fit for making personal, text-to-self connections! 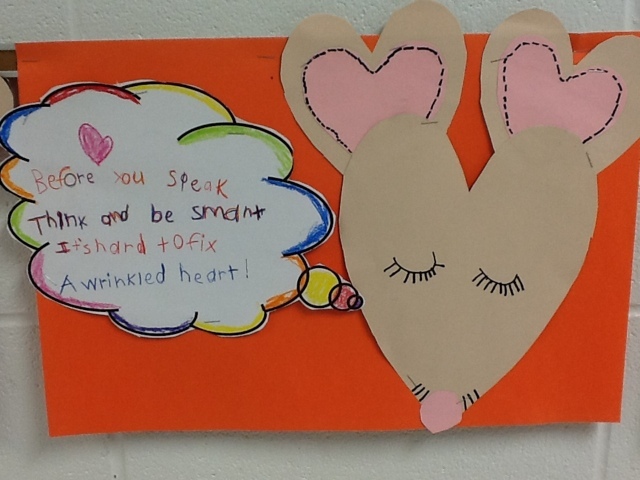 After reading the story, I asked students if they would like to share a time when their feelings were hurt from mean words. I scrunched up a part of the heart. And even when we tried to apologize and "make up" for that hurt, the wrinkles were still visible. 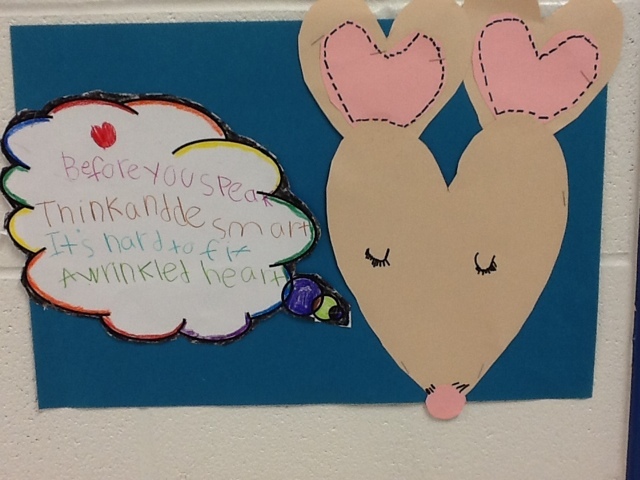 We pledged to take care of our wrinkled heart and not use mean words or hurtful gestures in first grade. Students signed a band-aid and placed it gently on the heart. PS: My class is so stinkin SWEET this year! 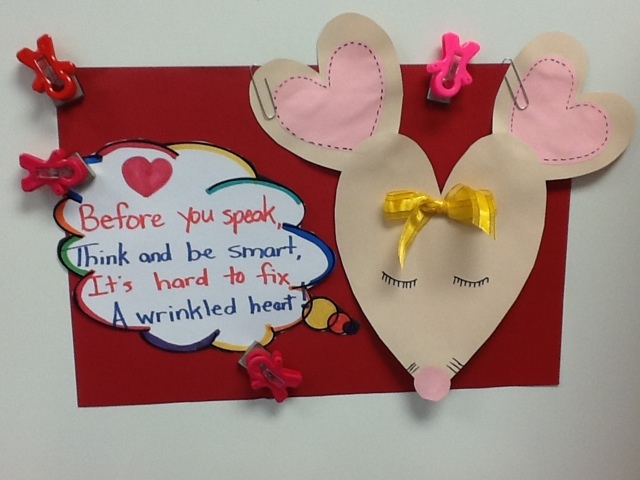 Nancy V. Over at First Grade WOW is absolutely amazing! 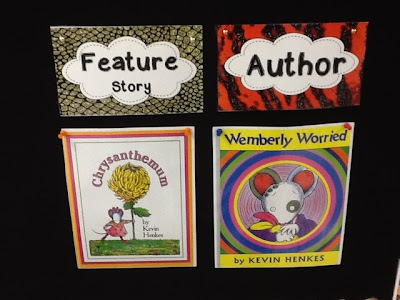 All of the above mentioned art materials came from her author study units on Kevin Henkes. I have learned so much from her and I can't begin to thank her enough for sharing so many engaging first grade lessons with me. My teaching style is very compatible with Nancy. I just gobble up each and every blog post she writes! Nancy, you ROCK my friend and your generosity is heartfelt! Thank you! 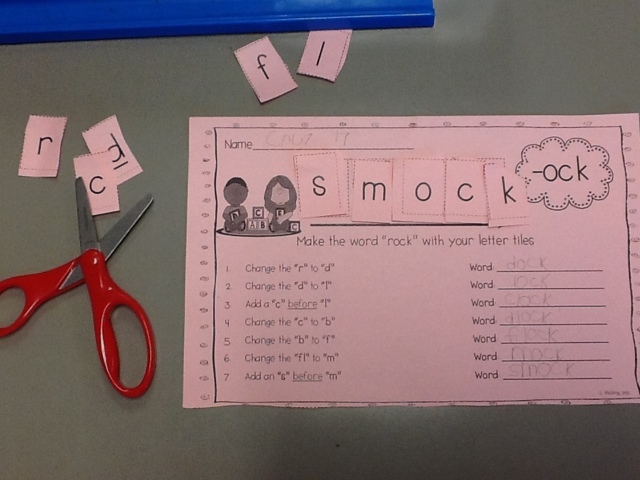 Since I began teaching on 2003, I have always used Pat Cunningham's Systematic Sequential Phonics program, AKA- Making Words, to introduce new phonics patterns. I always did this lesson whole group style, on the floor, with the big letter tiles on the pocket chart. 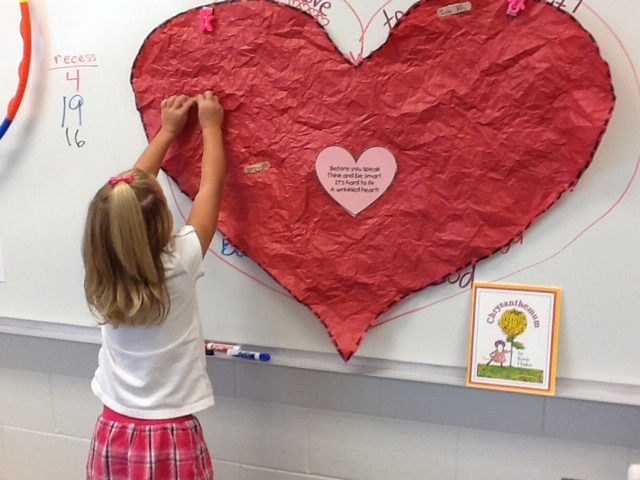 Well this year, I have found a making words treasure that the kids are LOVING even more! Here you see my teacher demo on the projector, making new (ock) words. Since this is only our 16th day of school, I am guiding the lesson while the kiddos are using their own letter tiles at their desks to make the same words. 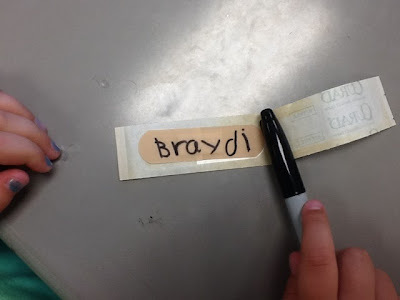 It takes less than 2 minutes for them to cut out letters, which also serves as a little Brain Break. I have fun with the class using whole body gestures to segment, blend, and write the words. I show them how to use their "eagle eyes" to spot special patterns. We also do some karate chopping to separate blends and word families. My ultimate goal is to have our weekly Celebrity of the Week teaching these word building lessons by October. I am excited to release some responsibility to the kids and will then be able to assess quickly, during that time, who is on target and who needs remediation. If you haven't already checked this unit out, stop by Lisa's TPT store for more details! Part of my back-to-school supply order was this shiny silver cart rack that is lightweight and big enough to hold three pocket charts...on each side! Holy Moly! I don't have to take up extra space on the wall this year... YAY! I simply wheel it out for afternoon calendar time and our Days of School activity! Then, when we're all done, we roll it back to the cubby wall. Our favorite calendar activity is our Number of the Day! 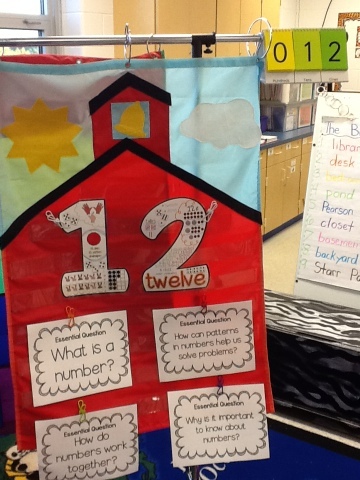 I am using Cara Caroll's Anchor Charts 1-20. I also have posted Reagan Tunstall's Essential Questions included in A Teacher's Math Resource unit. 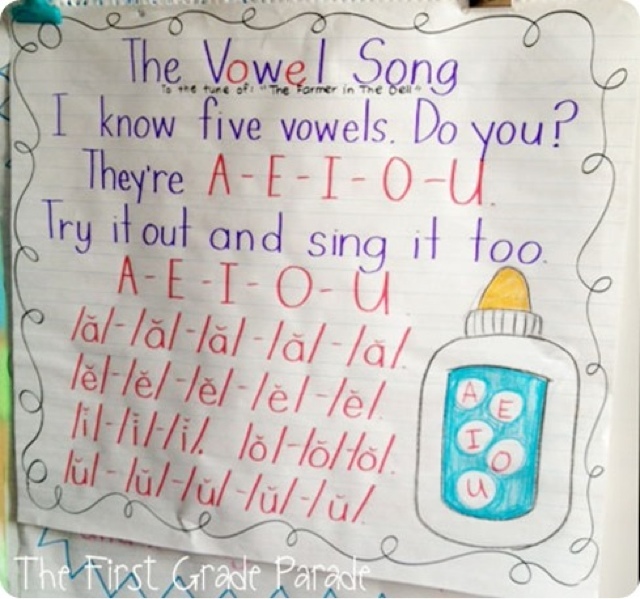 The super-sweet Cara Carrol over at First Grade Parade recently shared her Vowel Song anchor chart. Oh. My. Word. I adore this song and the kids want to sing it all day long! 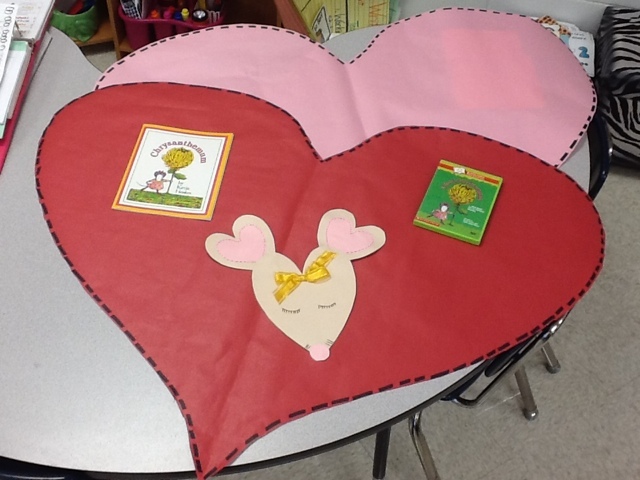 Have I told you lately how much I adore Classroom Friendly Supplies! When Troy emailed me about his new PINK sharpener, it was a MUST-HAVE for me! and the boys get full dibs on Mighty Blue! October is Breast Cancer awareness month and Troy is donating some proceeds of all Precious Pink sharpeners to some wonderful cancer charities! Today is your lucky day! 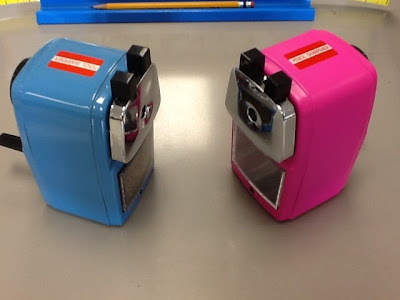 I am raffling off one Precious Pink Sharpener to one fab follower! Enter to win using the rafflecopter below. No Friday would be complete without also thanking Doodle Bugs Teaching for our 5 for Friday tradition! Have a fabulous weekend friends! I love Kevin Henkes. My fourth graders still enjoy his stories! I love to use them from time to time to introduce new skills using an "old favorite" book. Ok...I absolutely LOVE LOVE LOVE that Chrysanthemum lesson you shared on here. Wow! That is one of my favorite books and Kevin Henkes is one of my favorite authors, too. I am not only pinning this to my pinterest wall, but I must follow you to see all the cute ideas I am sure you share on here! I love your blog! So adorable! Favorite math resource....teacher blogs and Pinterest! I follow the scope and sequence of my math curriculum (thinkMath) then supplement with fun and engaging ideas for stations. I am in LOVE with the Chrystanthemum activities...we've already done our author study with this book, but I just KNOW I can figure out a way to get this in. LOVE! 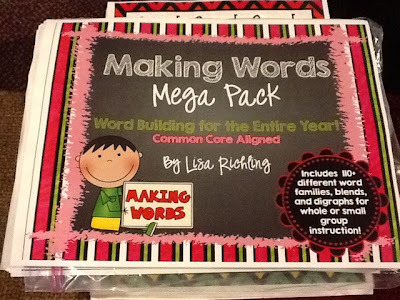 And that making words pack?? On my wish list for sure! Thanks for sharing & so happy to see you've had such a fun week! 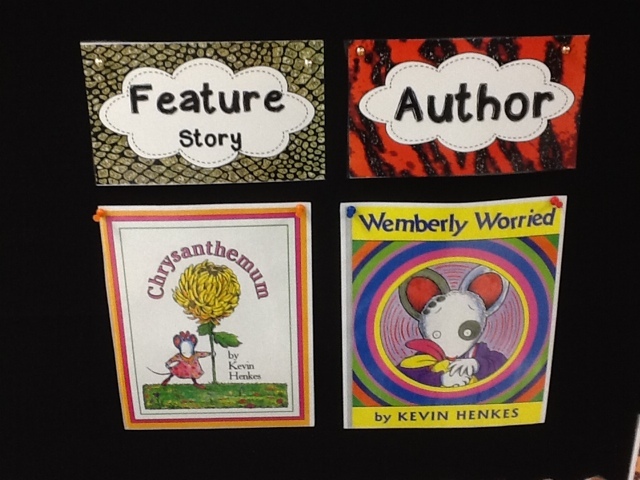 We are also Kevin Henkes fans! Glad to see you had a great week! I love Math U See for my homeschooling girls! I have several resources I highly recommend: Math-U-See for PK-Grade 8; VideoText Interactive for high school math; the Digitz electronic multiplication/skip counting game (totally awesome!). 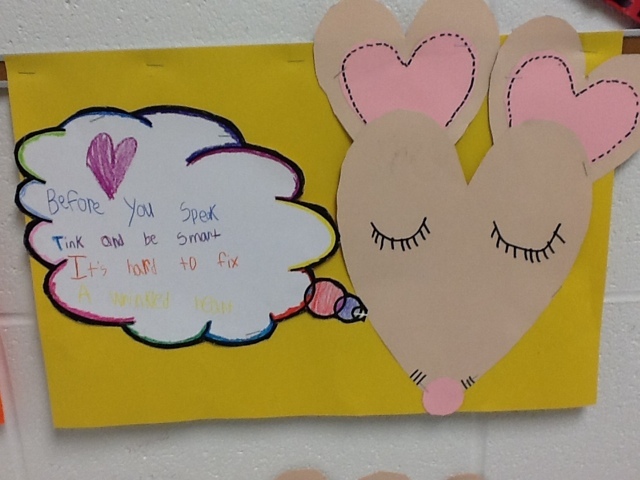 I like LaSota's Little Learners for math ideas and teacher blogs. I love using songs and rhymes with movement to help my students remember math concepts and vocabulary. For example: "What's a digit? 0-9 can you dig it?" We clap the first 3 words than make the 0 and 9 with our hands, finishing off with a shoveling dirt over your shoulder move. They LOVE it! Thanks for the chance to win a FAB sharpener! I love using math manipulatives. My kids love them. Thanks for the opportunity to win the pink sharpener! Math resource - smartboard interactive lessons that "grab" the students' attention! 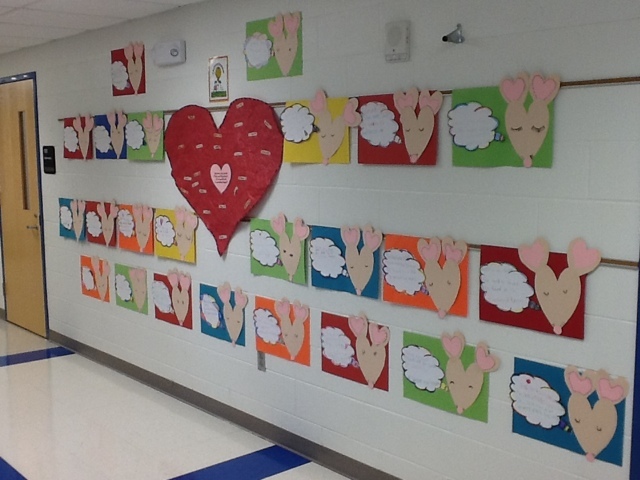 LOVE your Cafe Critters and your student's products are wonderful! 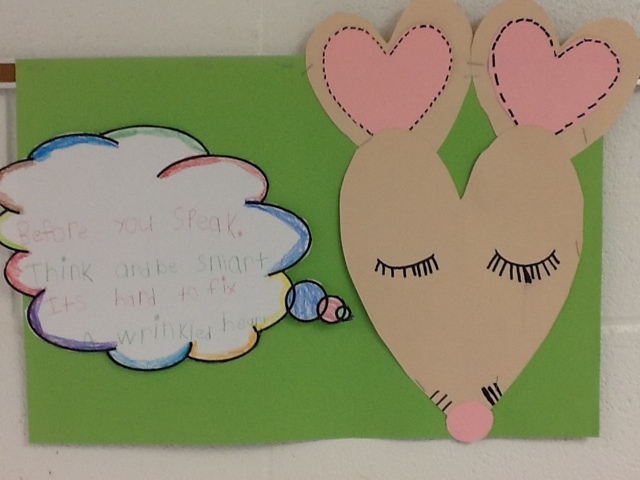 Thanks so much for sharing the Making Words find as well. Have a great weekend! I'd LOVE a pink sharpener! I'm waiting for 100 followers, so I can do a giveaway! Thanks for sharing your fabulous finds! I just gathered some great ideas! My favorite math resource has got to be all of our math tub manipulatives! My favorite math resource is incorporating songs and manipulatives into the lessons! A favorite math "resource" is mobymax.com (used to be mobymath) It gives differentiated lessons, practice problems, and quizzes for students based on initial screenings! Harry Kindergarten videos on YouTube. 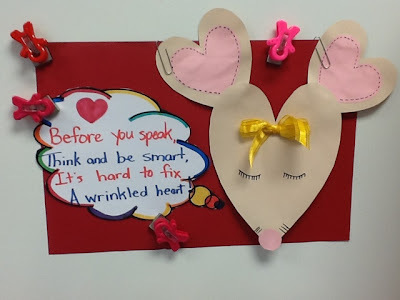 My favorite math resource is reading teacher blogs to get new ideas. I found your blog through the linky and it is so darn cute!!! I too love Kevin Henkes books. Thanks for sharing, I can't wait to read more post. We enjoy Singapore Math and Khan Academy. I think my favorite math resources are smart board lessons, or Promethean Planet flip charts. Girl...I gobbled every word of this lovely post! I heart Kevin so much I feel like I could be on a first name basis with him...he just KNOOOOWZZZ kids! I also heart YOU to bits! 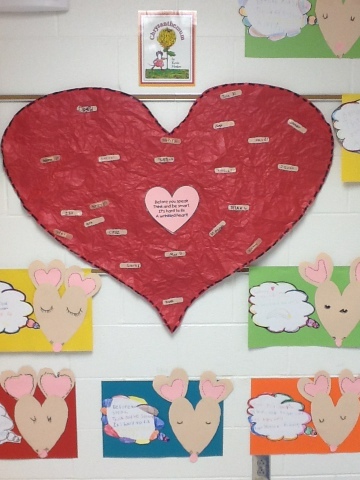 I'll be adding that Chrysanthemum lesson to my plans this year, tied into writing our Social Contract. LOVE! I am reading blogs constantly for math resources including Math Coach's Corner and Third Grade Thoughts along with others. 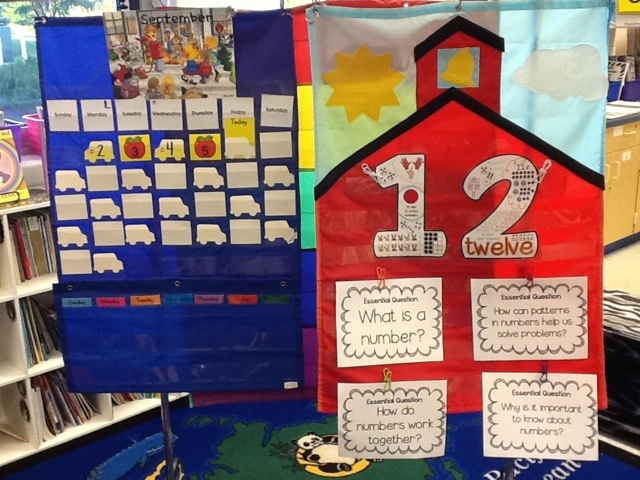 My favorite Math resource is Math Coach's Corner - both her blog and her TpT store. I have used so many wonderful things from her. My 2nd favorite math resource is from TpT also...AMAZING RESULTS! Differentiate Building Number Writing Fluency Booklets by Mrs. Miner's Monkey Business. This activity made an amazing difference in my kindergarten students' ability to write their numbers fluently and correctly! Last year I found it later in the year, this year I am starting EARLY! Thank you for a great give-away. Wow I will walk away with lot of fabulous finds by reading this one post, thanks so much!! I have had so much fun exploring and and gathering from there. Love Chrysanthemum and Kevin Henkes. We read his books over and over every year. Oh my goodness! I love Kevin Henkes! My all-time favorite book is Chrysanthemum. 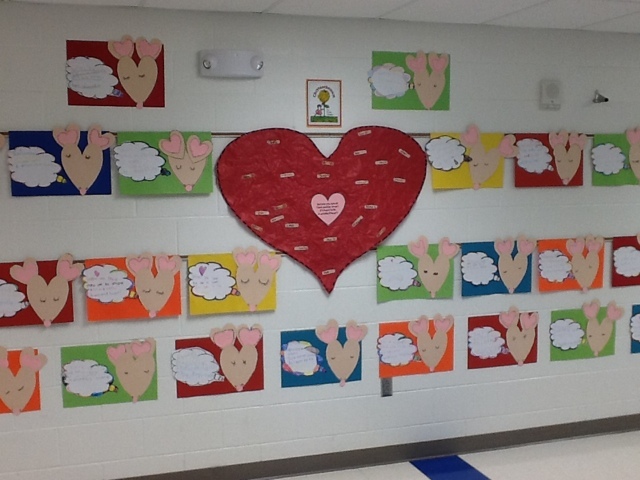 I loved seeing the art project and wrinkled heart activity you did with your students! Awesome! My favourite math resources are Math Coach's Corner blog and manipulatives. Love using unifix cubes and counting bears as a resource. They have been very helpful for my first graders this year. My kids will play just about any math game and love it. We play a lot of "bump" games as we can play those quickly when we don't have a lot of time. Thanks for your Giveaway. I love your Kevin Henke materials. I think he must be a favorite of us all. Thanks for sharing. Love your blog. Lots of great ideas. I also love Nancy V. and her fab ideas. Thanks a bunch! Favorite math resource is Number Talks! I love using multi sided dice and dice inside of dice for my math games!